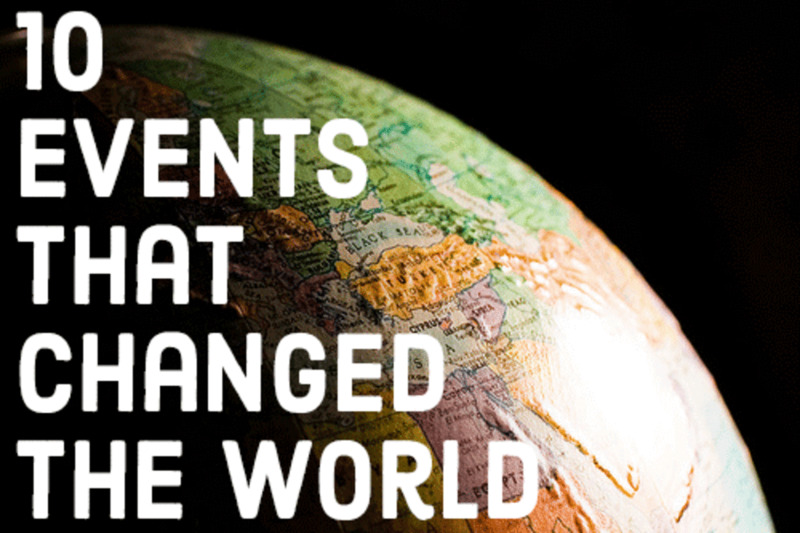 George Washington led an astounding life and accomplished incredible feats. Physically, he was a large and imposing figure. He stood head and shoulders over his contemporaries, both literally and figuratively. A humble man, he had destiny thrust upon him. He was not found wanting! 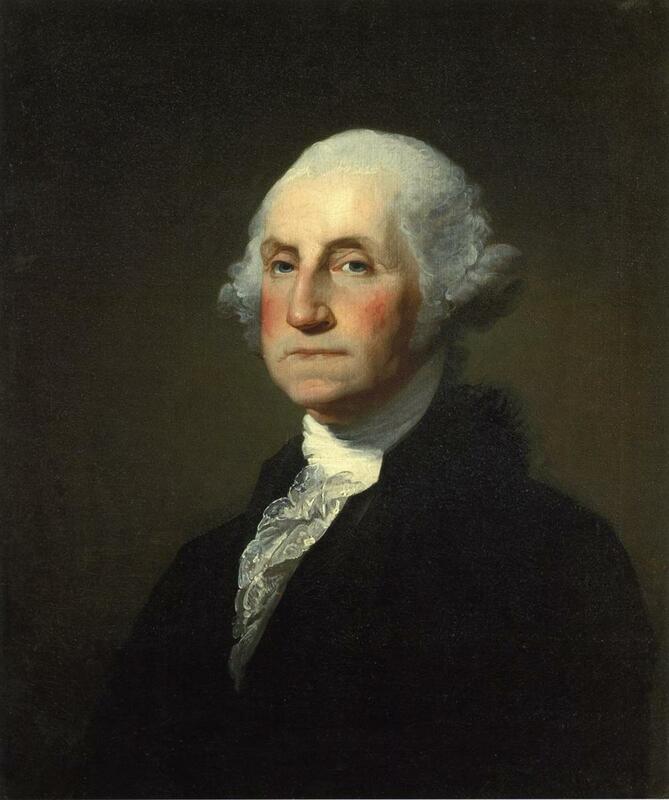 Often referred to as the Father of Our Country, George Washington was a surveyor, gentleman farmer, and soldier. 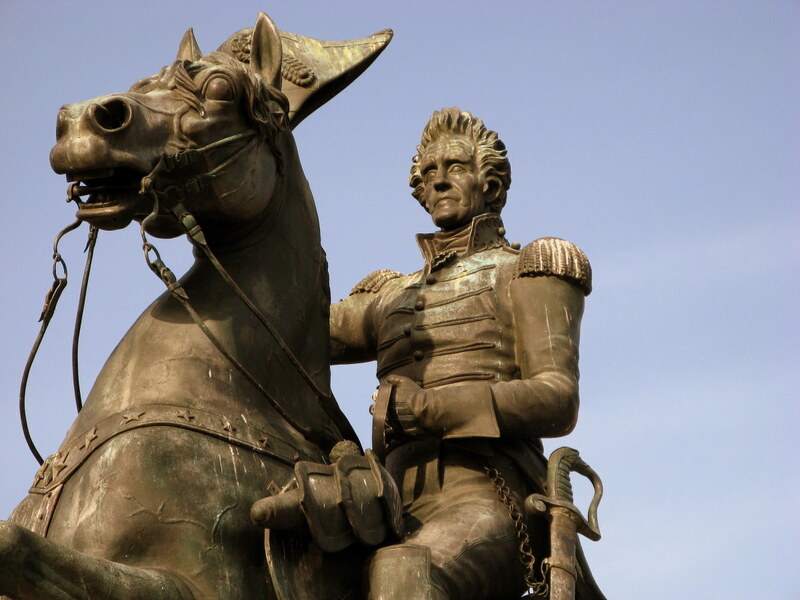 He held the rank of Lieutenant General and Commander In Chief of the nation's armies. 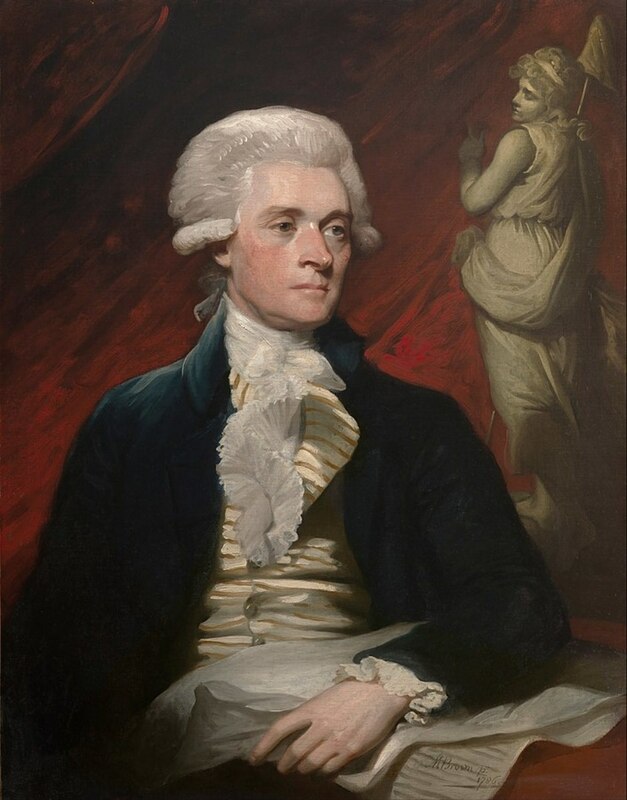 As President he served two terms (April 30, 1789-March 4, 1797). He was the first President to turn down a third term. Beloved by all, at the end of his three terms as President, Washington resisted efforts to make him King. 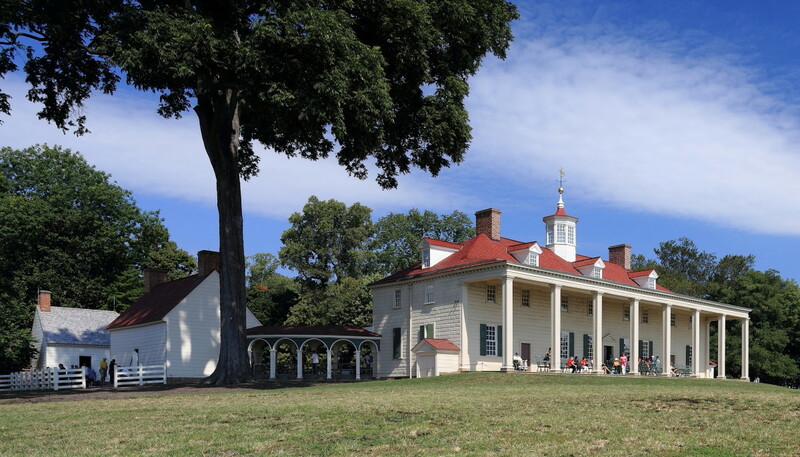 What he loved to do most in his later life was expand his beloved Mt Vernon. Our country would not let him remain there often. The United States of America would not be the most amazing democratic republic in the history of the world! George Washington was born at Wakefield Farm in Pope's Creek, Westmoreland County, in the British colony of Virginia on February 22,1732 (1732-99). From age seven to sixteen, he was home schooled and studied with the local church sexton. Later, he was tutored in practical math, geography, Latin and the English classics. Washington mastered tobacco growing, raising stock and surveying. His father died in 1743, leaving the man of the house. At age 17 in 1749, Washington was appointed official surveyor for Culpeper County. He was to survey the boundaries of the Virgina colony. 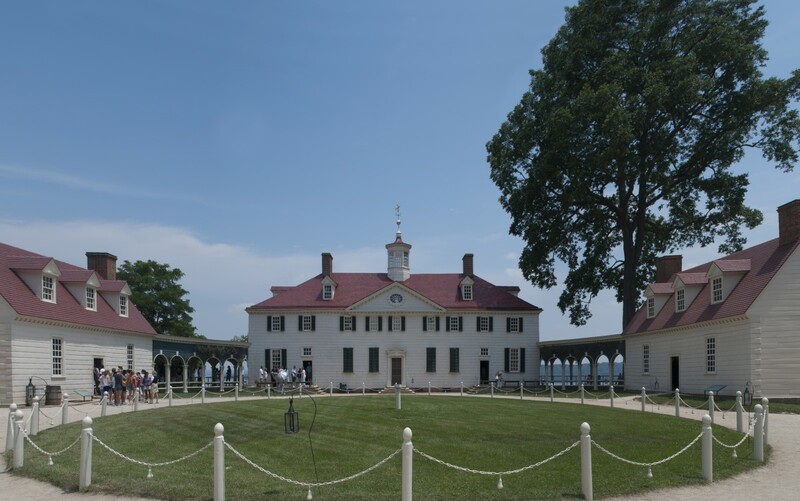 On July 1752, upon the death of brother Lawrence, Washington inherits rights to the Mount Vernon plantation. That same year, Washington received a commission in the Virginia militia. His family was part of the Anglican Church (later becoming the Episcopal Church). Later in his life he held popular Deist beliefs but never renounced the fact he was a Christian. Throughout his life, his letters, addresses and proclamations were full of references to God and Providence. He married Martha Dandridge Custis in 1759. It was her second marriage, his first. She brought two small children, “Jacky” (John Parke Custis) and “Patsy” (Martha Parke Custis) to the marriage. He was the First President to serve two terms (April 30, 1789-March 4, 1797). He was the first President to turn down a third term in office. George Washington died on December 14, 1799 at Mount Vernon, Virginia at the age of 67. He was buried in the family vault in Mount Vernon, Virginia. In November 1753, Washington led a Virginia expedition to challenge French claims in the Allegheny River Valley. In August, 1755, Washington was made Commander and Chief of the Virginia Militia at age 23. 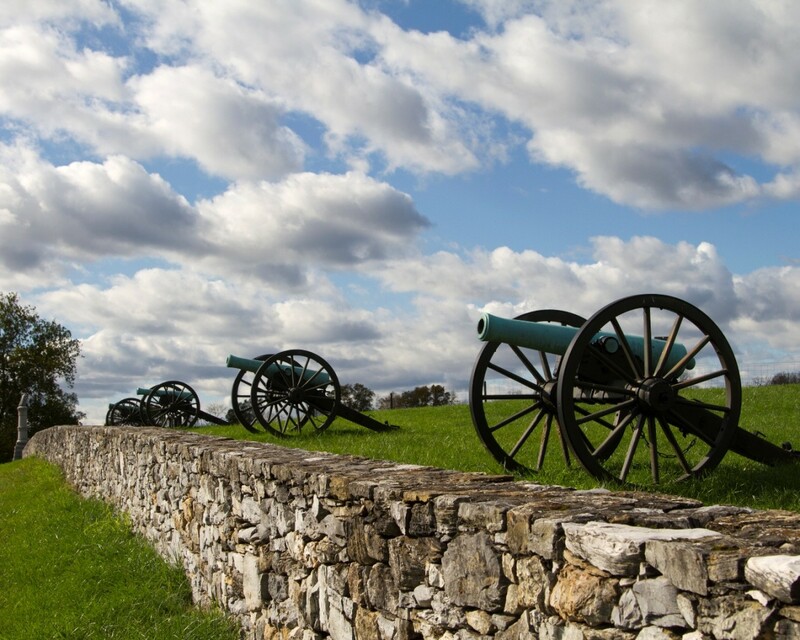 England and France were enemies in America, fighting to control the Ohio River Valley. Washington led a poorly trained and ill equipped force of 150 men to build a fort on the the Ohio River. On the way, he entered combat with a small French force. A French minister lost his life in the process. The French ultimately succeeded in routing the British in a major defeat. Word spread of Washington's heroism and leadership against the French. 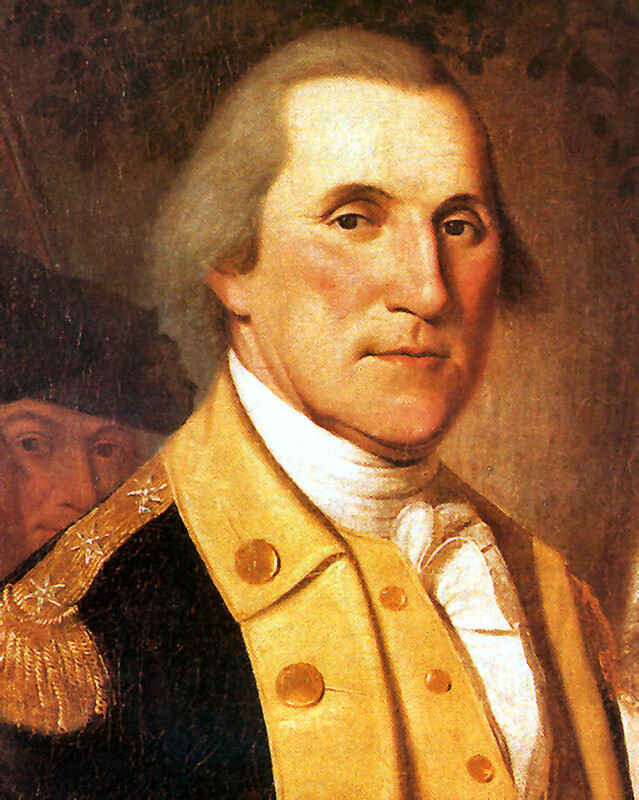 Although he was hailed as a hero in the colonies, Washington applied for a commission with the British Army but was turned down. 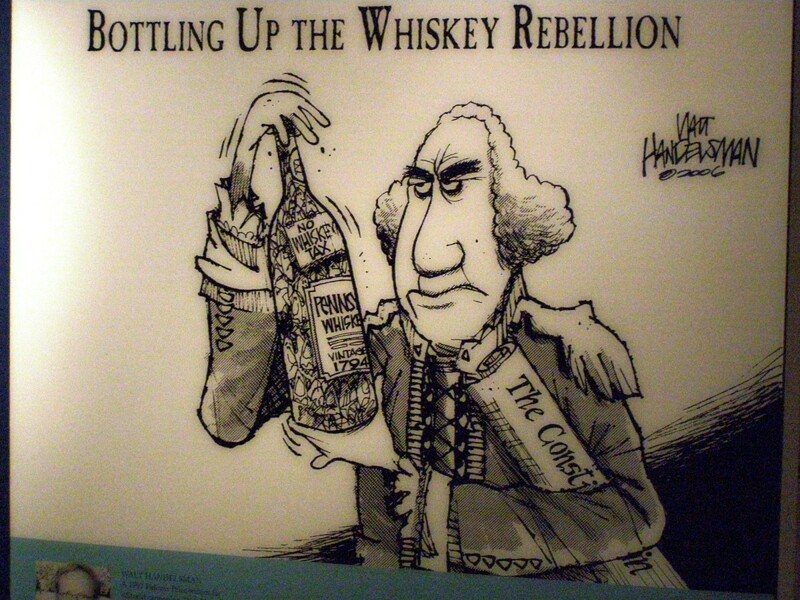 The Royal government in England blamed the colonials for the defeat and this reflected negatively on Washington. He resigned his commission and returned to Mount Vernon disillusioned, in December 1758. 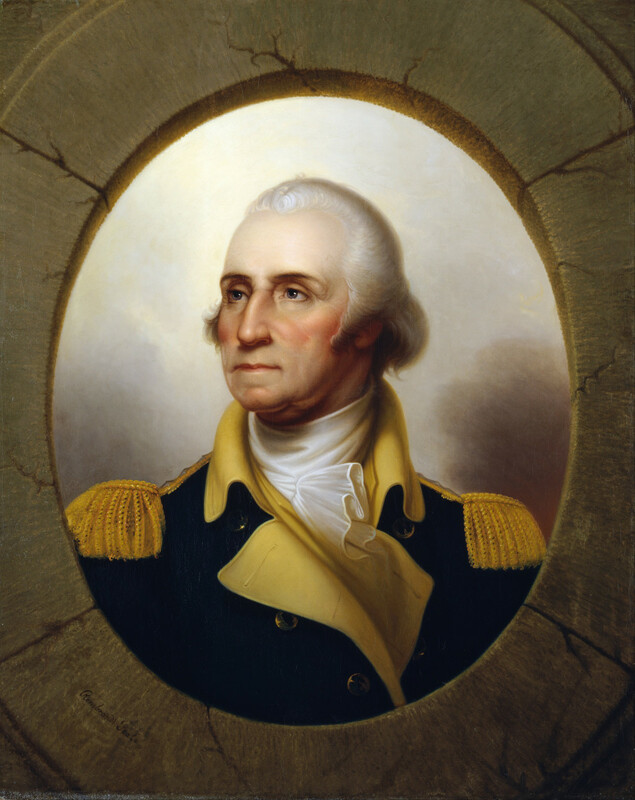 Washington never gained the commission in the British army, but in these years he gained valuable military, political, and leadership skills. He did not return to military life until the outbreak of the revolution in 1775. 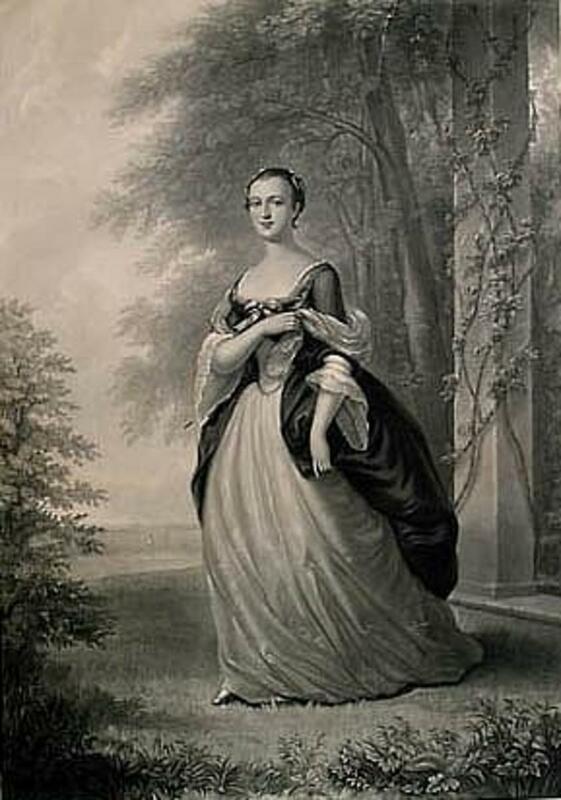 Washington married the wealthy widow Martha Dandridge Custis, 28 years old on January 6, 1759. His marriage to Martha greatly increased his property holdings as well as his social standing. He became one of Virginia's wealthiest men. The British landed gentry's life of horseback riding, fox hunts, and fishing suited Washington well. He was a leader in the social elite in Virginia. He devised innovative methods for crop rotation. Often, he took off his coat and performing manual labor with his workers. He bred cattle and horses and tended his fruit orchards. He kept over 100 slaves, but it was said that he disliked the institution. Washington entered politics in 1758 and was elected to Virginia's House of Burgesses. He was named Justice of the Peace, Fairfax County in 1770. He quickly became a prominent political leader in Virgina and recognized in the Colonies. 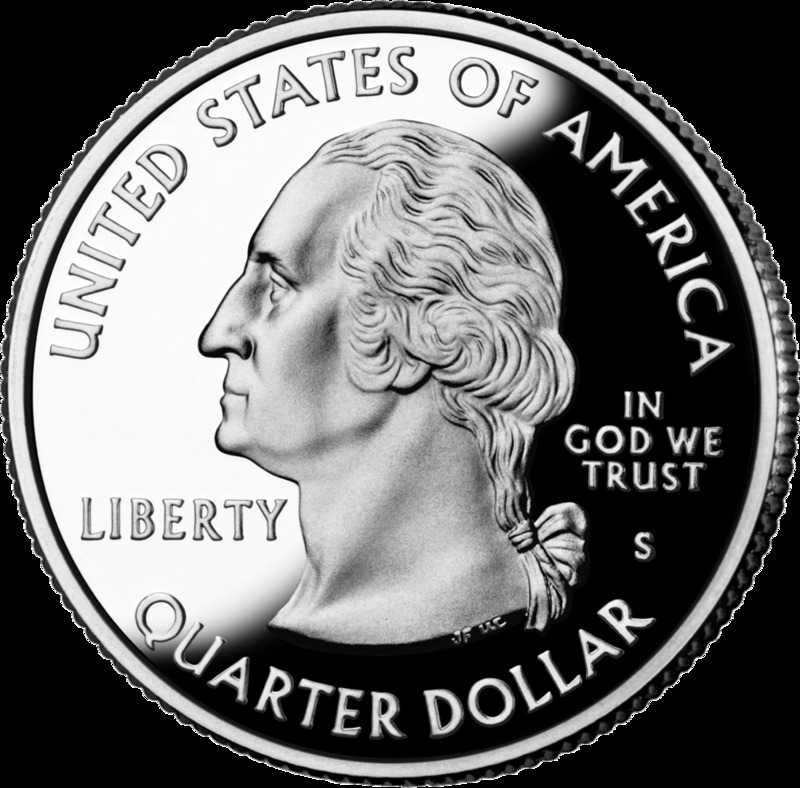 Washington was on of the the first to openly support resistance to England's policies of taxation and strict regulation of the colonial economy (the Navigation Acts). He was appointed delegate to the Williamsburg Convention in 1770 Virginia legislature. This led to his further appointments as delegate to the first Continental Congress in 1774 and the Second Continental Congress in 1775. George Washington, General and Commander in Chief of the Continental Army. The Revolutionary War broke out between the American colonies and Great Britain in 1775. Local militia units from Massachusetts had engaged British troops near Lexington and Concord. 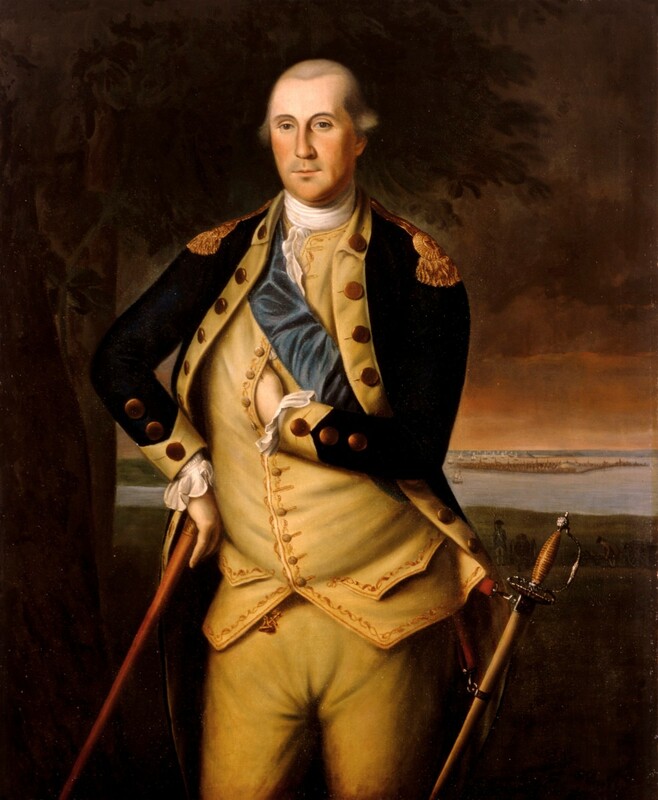 Washington was unanimously elected commander in chief of all the colonial forces. He modestly stated in response to the appointment, “I beg it may be remembered by every gentleman in the room, that I this day declare with the utmost sincerity, I do not think myself equal to the command I am honored with.”1 He refused pay but asks for reimbursement of expenses. He served as commander in chief of the Continental Army for duration of the American Revolutionary War (1775-83). In July 1776, Washington was in New York with his troops. 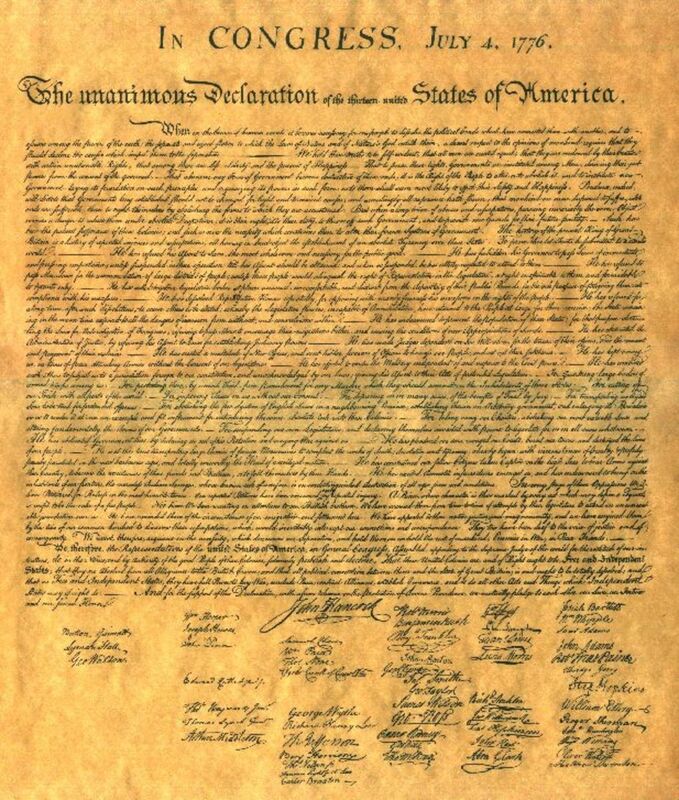 In Philadelphia, Thomas Jefferson, Benjamin Franklin, John Adams and the other delegates of the Continental Congress wrote the Declaration of Independence. Washington's army routed the British from Boston in the spring of 1776. But, they endured a series of humiliating defeats in an effort to defend New York. 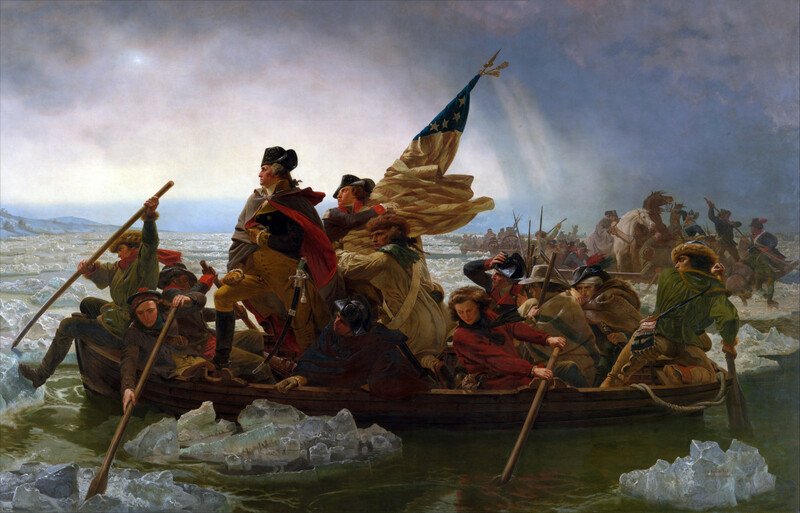 On Christmas Day, he led his army through a blizzard and crossed the Delaware into New Jersey. They defeated the Hessians at Trenton. The turning point of the Revolution came in May 1778. The French agreed to an alliance with the Americans. Washington knew that if one great victory by his army would break the British Parliament's support of the war against the colonies. In October 1781, Washington's troops, assisted by the French Navy, defeated Cornwallis at Yorktown. By the spring of 1782, the British government was willing to end hostilities with the colonies. A peace treaty is signed between Great Britain and the United States on September 3, 1783. Washington resigned his commission as Commander in Chief in 1783. He gave up his power when he could have claimed it for himself. Following the war, Washington quelled a potentially disastrous bid by some of his officers to declare him king. Washington returned home to Mount Vernon believing that his days of public service were finished. He then returned to Mount Vernon and the genteel life of a tobacco planter. He was called out of retirement to preside at the Constitutional Convention in 1787. The weak state of the union under the Articles of Confederation began to trouble Washington more and more. In 1787 he traveled to Philadelphia where his sterling reputation and austere manner helped to usher through a totally new constitution. He was elected Delegate and President of the Constitutional Convention in 1787. 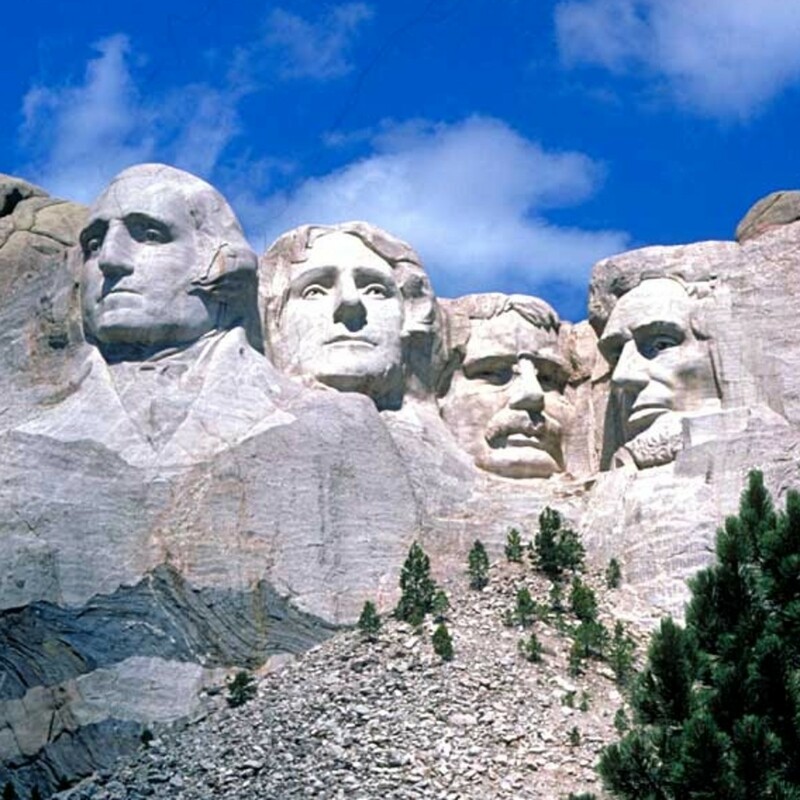 In 1789 he was elected as the nation’s first president as the first President of the United States. He set precedents for the future of the office and created a new government. He shaped our countries institutions, offices, and governmental practices. In 1792, he badly wanted to retire after the first term, but Washington was unanimously supported by the electoral college for a second term. His second term centered on foreign affairs. He struggled to prevent the emergence of political parties because he viewed them as factions that were harmful to the common good of the country. 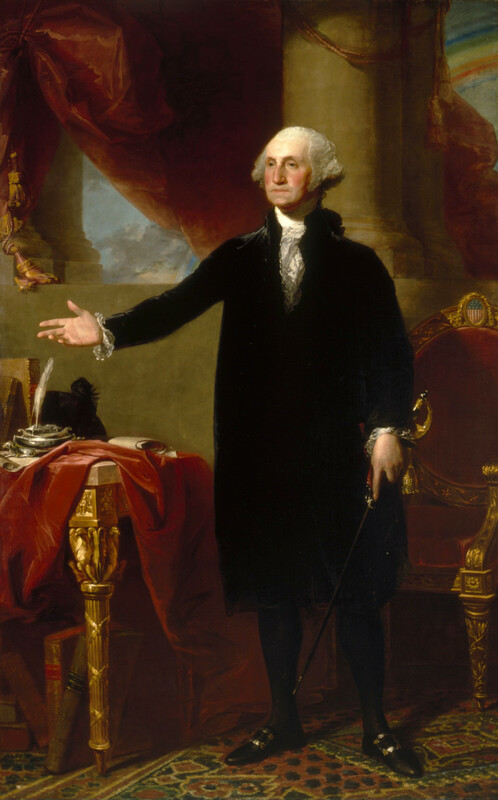 Washington insisted on his power to act independent of Congress in foreign conflicts. When war broke out between France and England in 1793, he issued a Declaration of Neutrality. No, no plans to ever go. By 1796, no amount of persuading could keep Washington away from Mount Vernon. He refused a third term as president and retired in 1797. He left office, exhausted and discouraged over the rise of political factions. In 1799, after being caught in a sleet and snowstorm while riding on horseback across the farm he loved so well, Washington developed a severe throat infection called quinsy, which had turned into laryngitis and pneumonia. At midnight Washington said to his secretary, Tobias Lear: "I am just going. Have me decently buried, and do not let my body be put into the vault in less than three days after I am dead. Do you understand me?" Washington died on 14 December 1799, at the age of 67 with his close friends and personal secretary by his side. 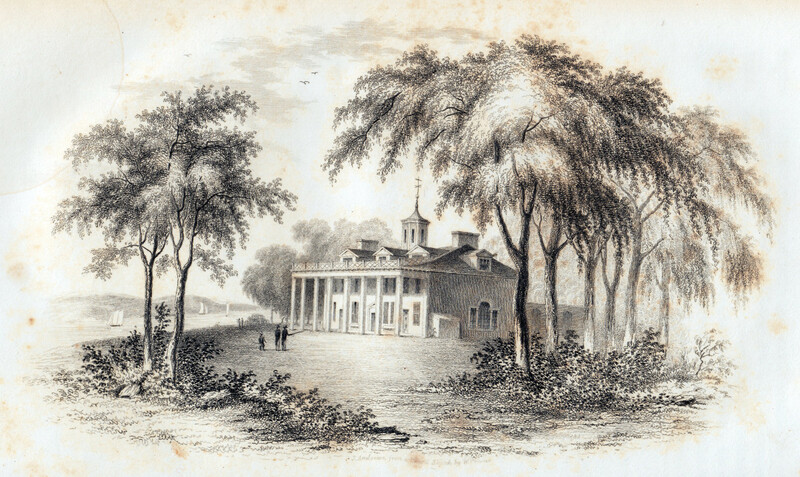 After his death, Washington’s remains were buried at Mount Vernon. Washington’s death came as a big shock to the nation and the American Army wore black bands as a sign of grief for the next six months. When, forty days afterward, the news reached England, the flags of the great English fleet of sixty vessels lying in Torbay were lowered to half-mast. Napoleon declared ten days of mourning throughout France and ordered a funeral oration to be pronounced before himself and the civil and military authorities of France. "To the Memory of the Man, First In War, First In Peace and First In the Hearts Of His Countrymen, He Was Second To None In The Humble And Endearing Scenes of His Private Life." Henry Lee, in his eulogy before Congress—Resolutions presented to the United States’ House of Representatives, on the Death of Washington, December 26,1799. As Washington prepared his will, he drew up a list of the Mount Vernon slaves who belonged to either the Custis estate or to him. He found that altogether there were 316 enslaved men, women, and children living at Mount Vernon. By freeing his slaves, George Washington tried to set an example for others to follow. He was the only slaveholder among the founding fathers to free his slaves. Valley Forge National Historical Park - Valley Forge, Pa. The 13 Colonies: Was the Declaration of Independence Justified? I adore history. I've visited Mount Vernon and feel in love with the place. As I "met" Martha Washington I decided I needed to know more about the man who me she loved more than anything in the world and was willing to burn all hers and his letters to keep their lives private. Luckily, we were on a Washington D.C. Trip and I was able to follow the steps of ole' George's haunts. It was so educational. This past month we went to Federal Hall in NY to sit on the steps where George was inaugurated as our first president. It was a thrill and inspiring. We ate where he ate while at Fraunces Tavern. Which is where he gave his last address to the soldiers of the Continental Army. I bow my head to his service of our country and his willingness to risk his life for being able to create the start to our freedom. I thoroughly enjoyed this post on Washington on one page, Al. It was educational and well researched. Kudos. I'll take your recommendation ahorseback! Thanks again! I too disliked Daniels , yet when he does such a serious role as GW , he nails everything I have ever read about him ! Good movie ! You are welcome ahorseback! Generally, I'm not a Jeff Daniels fan, but their have been some things he has done that I like (Fly Away Home for one). I'll have to cacth up with The Crossing! The crossing ! That's the one , you wont be dissed !....Thanks for this! Wonderful manatita44! thanks for reading and commenting. Yes, an incredible man. He came at the right time in history. ahorseback thanks so much for reading and commenting! Googled it - it is called The Crossing. Don't think I've seen it! I'll have to give it a look. Thanks again! Excellent article, very well written and well researched! Thanks for this interesting and insightful hub and congratulations for the well deserved HOTD! Special man. Indeed chosen my God Itself. I dedicated a Chapter of my book to the Founding Fathers and their contribution to America. 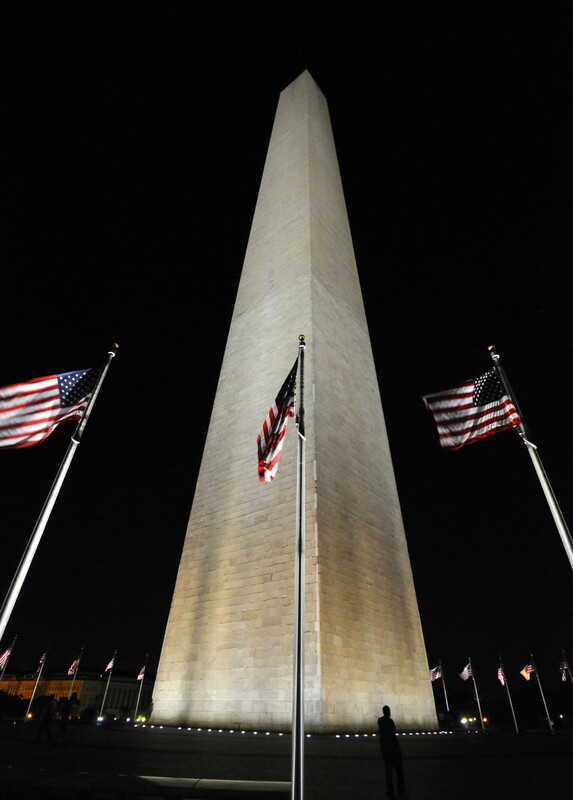 Washington was a first-class Pioneer. Gypsy Rose Lee thanks so much for the positive feedback and for sharing. It was a surprise to be chosen Hub of the Day since I wrote this almost a year ago! Thanks again for sharing! Oh thank you so much for the kind praise and sharing, Audrey! I love when people share birthdays with great people. I feel like it would be inspiring. Thanks fro reading and stopping by! Voted up and interesting. Absolutely incredible and fascination work. Lots of great information, pictures and video. Well done and passing this on. MsDora, thanks for reading and adding your comments! I appreciate the feedback. Congratulations on your Hub of the Day award for this interesting post full of well organized facts. Studying men like Washington is important and it is insightful to read what they themselves wrote. Also, books that look at him in the context of the his writings and the times he lived (such as George Washington: Gentleman Warrior and When Washington Crossed the Delaware) can be found at the CBD homeschool curriculum site. On that note I can't help but mention The American Revolution: Writings from the War of Independence. This sight is particularly useful for young historians for it is particularly important for them to have access to accurate resources. BTW, it is always interesting to me that my daughter was born on George Washington's birthday and my birthday is the anniversary of his death. Very interesting read, and congrats on HOTD! Congratulations on your HOTD accolade! Thank you for the detailed information on this auspicious personality. Well done! This hub is so informative, well-written and just visually beautiful. It makes you want to read it more than once to soak up all the info. Congrats on HOTD. Great job! I really can't recall what speech is that.Shame on me :) anyway,thanks, I'll comment again if I found it somewhere me brain. PaoloJpm Which speech? Are wanting to know where I got something? Oh, since, you knew him so much, I would like to clarify something about his speech. which said 135 words I think? I am currently working a hub on how to make a speech. And I read something about his speech that I want to include as well. PaoloJpm, thank you for your kind comment. Yes, he was an amazing man. Yes, it took me a long time to put it all into one article (and find the photos!). Thanks for stopping by! well created aj! its great to know Mr. Washington in one article! girishpuri thanks so much for reading my Hub. Appreciate the feedback! Very good information about George Washington, and a catchy heading too. God bless. billd01603 thanks for taking the time to read and comment! George Washington's impact on our country's founding and the course of history cannot be underestimated! joshv82, thanks so much for reading ad commenting. I appreciate the kind comments and share! Yes I hadn't read about him for awhile and I rediscovered an amazing and talented human being. He was able to sidestep many of the trappings of power. Most modern day politicians would do well to follow his example! Excellent hub. ajwrites57! Washington is a guy who everyone knows about but few fully appreciate. This hub is organized, accurate and well-written. Voted up and sharing. dahoglund, thanks so much for reading and commenting. There is so much to his interesting life it was hard to write and cut things out. He was an amazing man! Thanks for sharing! Very well done. Even for someone familiar with Washington's life it is an easy to read summation of his life and accomplishments. Up votes and shard. Beth37, thanks for your understanding comments. It was easy when I started it. I set up a template, but that went the way of all flesh almost right away. I had to read many sources because they only dealt with certain aspects. I should have added more, but I forgot to--I will when I edit. After it was "ready to go", it still took me five hours with photos and the few quotes I have. Thanks for appreciating it and your kind owrds!